Keledong is a fruit which is very little known outside its native region inspite of the fact that it is very tasty fruit and very popular with local people. It is a native of Borneo. 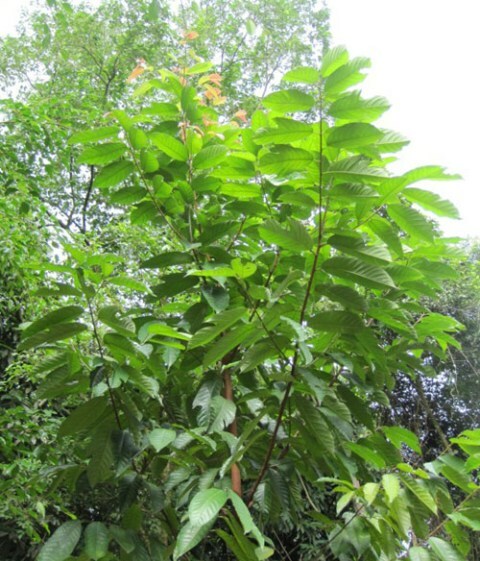 There are natural forests of this fruit. It has also been called “forgotten fruit” by some fruit explorers. An evergreen tree growing upto 10 m.
Fruits, irregularly spherical, 20-25 cm, borne like jack fruit, orange, pulp sweet at maturity. The fruits are sweet and tasty to eat. The flavour is a mix of ripe jackfruit and mangosteen. The fruits are eaten by local people. 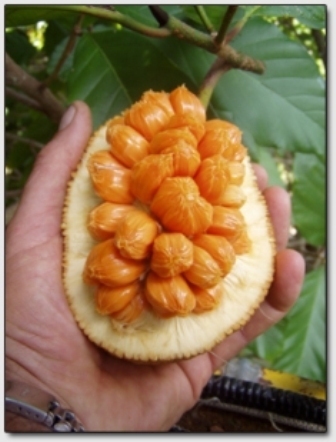 A cut fruit of keledong showing the edible portion. 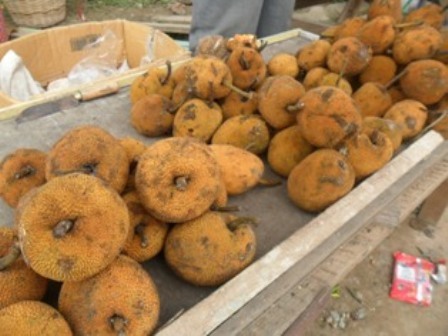 Though keledang fruits are consumed in large quantity in Indonesia and also offered for sale and can be bought 5 fruits for one US dollar. But still these are not cultivated as orchard fruits. All the fruits come from wild or semi-wild trees. New plants can easily be raised from seed. The seedlings start bearing fruits after five years.